There are no shortage of rumors and lies that swirl around Hollywood and the world of celebs, and the more popular the celeb, the more lies we might hear, right? 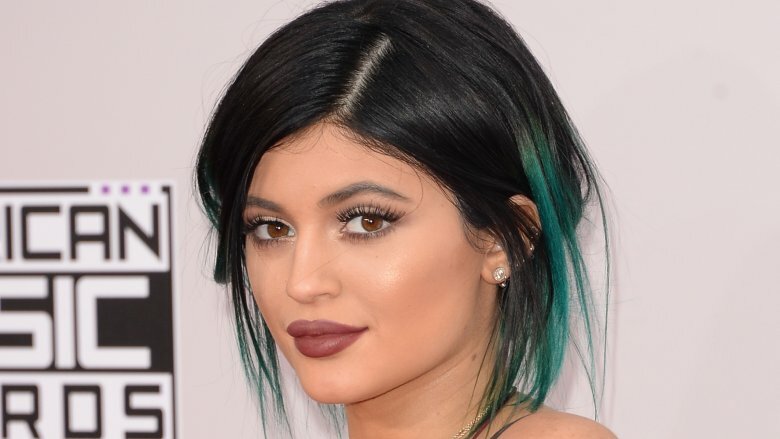 At this point, the easiest way to tell if reality star Kylie Jenner is lying is to see if her infamous lips are moving. Just kidding! Sort of. Here are some of her biggest whoppers that turned out to be pretty much on the money. 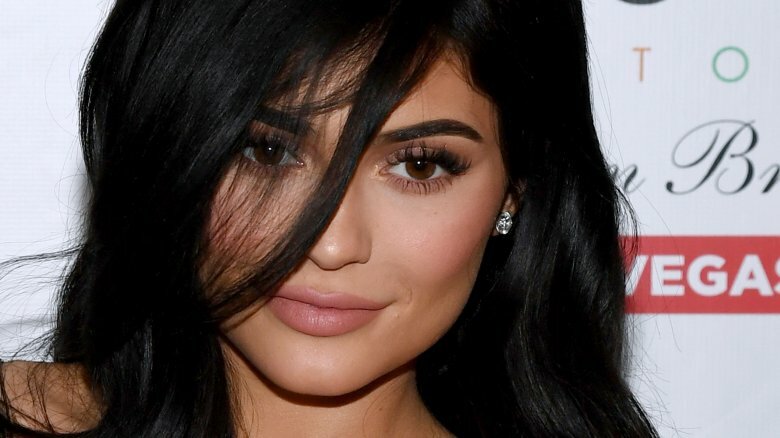 Kylie underwent a massive makeover between 2013 and 2015, most noticeably in her lips, with her pucker going from thin-lipped to impossibly pouty seemingly overnight. Though the change seemed obvious, Kylie swore up and down that her suddenly plumper pout was just a result of growing older. One reason the world called her bluff: lips actually thin, not thicken, with age. It wasn't until big sis Khloé Kardashian called her out on her fibbing on an episode of Keeping up With the Kardashians in May 2015, that Kylie came clean about her lip injections. In November 2016, Kylie told Complex she lied because "I wasn't even 17 yet. What if I came out and said, 'Oh, yeah, I got my lips done'? What are all those moms going to think about me? These kids, my fans, they're going to think I'm crazy. I didn't want to be a bad influence. I didn't want people to think you had to get your lips done to feel good about yourself. But they thought it was crazier that I was lying about it because it was so obvious. I wish I had just been honest and upfront." She added, "When you first get them done, you're like, 'Oh, it could be a little bit bigger on that side.' I'd go back and be like, 'They went down' and think they could be bigger. But I went too far. It was very painful." Jaden Smith and Kylie refused to admit they dated and insisted they were just "best friends," but the proof is in the pudding (and in the paparazzi photos.) Smith and Kylie were spotted holding hands in June 2013, and E! News reported that Smith was Kylie's date to Kimye's wedding in May 2014—and that witnesses spotted the pair making out at the ceremony in Florence, Italy. E! News also reported in November 2015 that one of the many issues to arise in Kylie's tumultuous relationship with Tyga was her ongoing friendship with Smith. "She has a close relationship with Jaden since they were very young but nothing romantic has happened with them since she has been with Tyga," a source said. 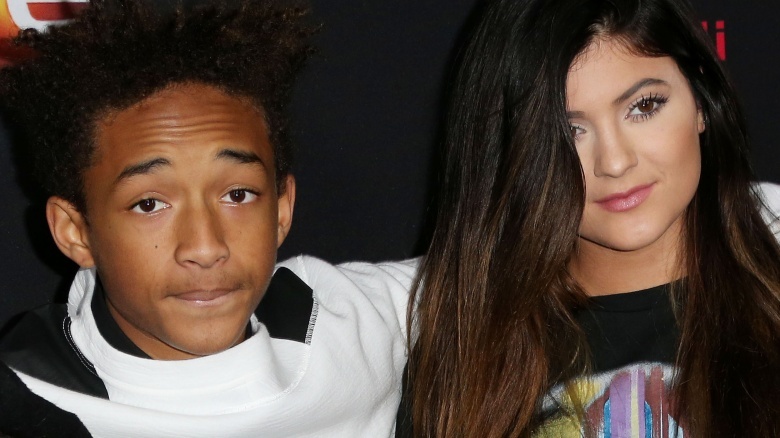 "Jaden though will always love Kylie and Kylie will always have a love for Jaden. They grew up together and were each others' first loves." Tyga was first spotted hanging around the Kardashian and Jenner clans when he and his ex, Blac Chyna, were still together. AT the time, Blac Chyna was BFFs with Kim Kardashian. Because of Chyna and Kim's friendship, no one really thought twice about the rapper lurking around the Kardashian clan. Tyga gradually kept popping up with the family more often, even performing at Kendall Jenner's sweet 16 in 2011…when Kylie was 14 years old. In February 2015, Kardashian's husband, Kanye West, confirmed what the world had long suspected: Tyga and Kylie were an item. At the time of West's interview, Kylie was still a minor. West told The Breakfast Club (via E! News): "I think he got in early… I knew Tyga was smart." Still, Kylie and Tyga denied dating rumors forever, with both parties insisting they were single despite frequent sightings together and sappy Instagram posts. In March 2015, a 25-year-old Tyga confirmed the relationship on Instagram (via People) when Jenner was still just 17 years old. 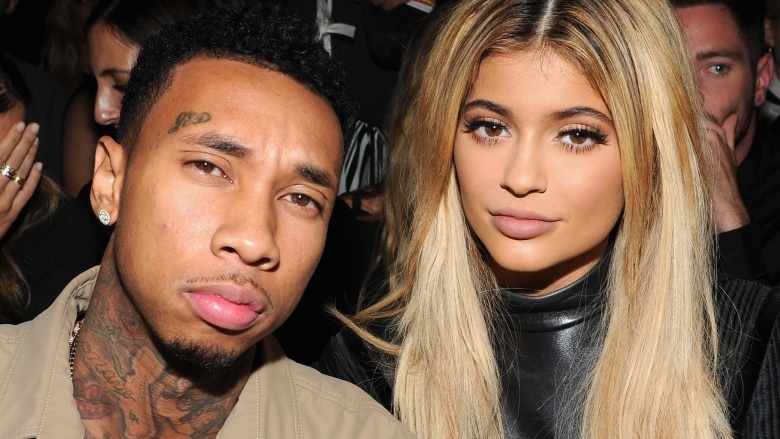 Tyga denied reports that the $320,000 Ferrari he bought for Kylie's 18th birthday was a lease, but that's a lie. 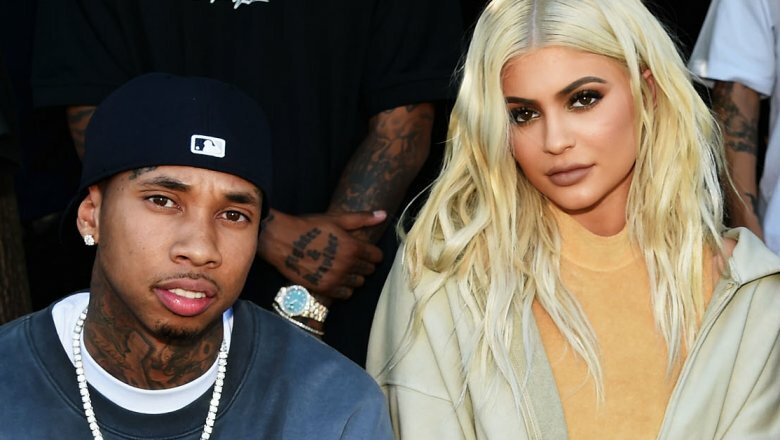 Not only could Tyga not afford to purchase the car for Jenner, but Radar Online reported that the reality starlet had to lease it in her own name. The self-proclaimed "King Gold Chains" has been rumored to have had financial issues for a while, with TMZ reporting that Tyga was ordered to pay $70,000 in back rent on a home in Calabasas, Calif.
That was just the tip of the iceberg. In August 2016, he had a Ferrari repossessed while at a Bentley dealership with Kylie (who later bought him a Bentley, maybe to make him feel better.) The rapper also had a Maybach repossessed, owed more than $270,000 to a jeweler, was ordered to pay more than $186,000, $75,000, and $240,000 in back rent to two other landlords, and may or may not have owed Chyna money for back child support for their son, King Cairo. 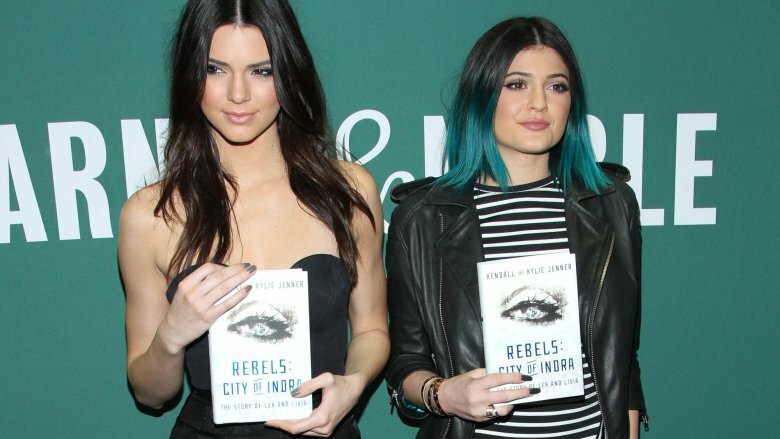 It's shocking that Kendall and Kylie Jenner didn't pen a dystopian young adult fiction novel on their own, isn't it? Their debut tome, Rebels: City of Indra: The Story of Lex and Livia, was entirely ghostwritten by writer Maya Sloan, though Sloan admits that the Jenner sisters and their creative director gave her a few guidelines for the story. "The Jenner sisters didn't do any of the writing, and they've been very upfront about that. But they were very much a part of it," Sloan told Cosmopolitan. "They had strong opinions, and we met in New York, where I was now living, and Skyped throughout the process. They read drafts, gave me notes, and I would revise based on what they wanted." It seems like no one even wants to take full responsibility for the book, which the Daily Mail reported sold a measly 13,000 copies, yet somehow still spawned a sequel. 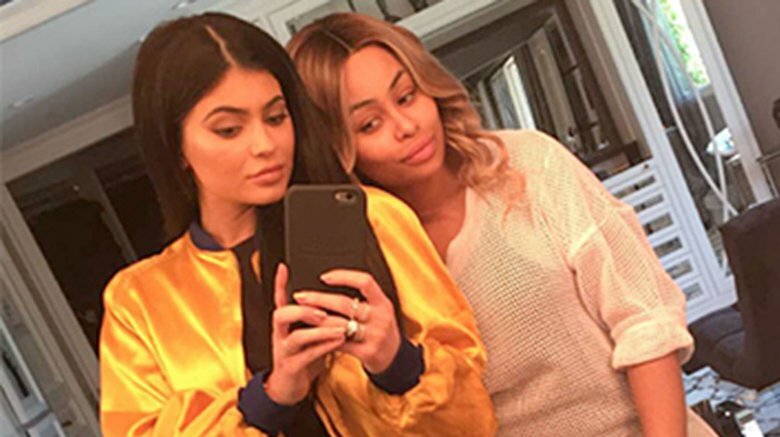 Kylie and Chyna tried to quell rumors that they've been beefing for years when, in April 2016, they posed for a Snapchat photo together and captioned the picture with "When we've been best friends the whole time." However, that couldn't be further from the truth. They have a complicated history: Tyga dumped then-fiancée Chyna in August 2014, around the time he allegedly began hanging out with Kylie. In 2015, Chyna began mocking Kylie on social media–especially for the infamous lip challenge–and accused her of copying her idea for a cooking show. In early 2016, Chyna started dating Rob Kardashian, which reportedly left Kylie beyond peeved, with a source telling People: "Kylie is livid. She feels super betrayed and can't understand why someone in her own family would stab her in the back like that." That said, Kylie did reportedly let the couple and their daughter, Dream Kardashian, live in one of her homes. After Chyna and Rob's relationship went down in flames, the ladies didn't even pretend not to hate one another anymore. In September 2017, The Blast reported that Rob and Kylie sued Chyna for battery and assault against Rob and for vandalism of Kylie's property. Less than a month later, People reported that Chyna sued the entire Kardashian family, as well as Kylie and Kendall, for allegedly damaging her brand. Though the KarJenner camp is working hard to make it seem like Kylie wants to be out of the limelight—and though Kylie herself has insisted as much—there may be another reason why she's lying so low lately. Her Keeping up With The Kardashians spin-off, Life of Kylie, was a major flop. The Sun reported in August 2017 that Life of Kylie only drew half of the viewers that Rob & Chyna did, claiming the family was desperate to improve the numbers, even re-cutting episodes just a week before airing and shoehorning as much footage of Kylie's sisters, especially Kim Kardashian, into the show as possible. Though E! 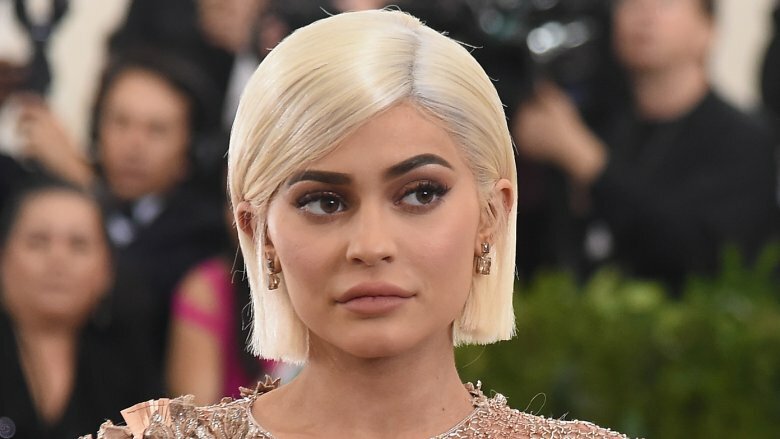 boasted to Refinery 29 that Life of Kylie netted 1.5 million total viewers in August 2017, less than one month later, In Touch reported that her audience was down to 666,000 viewers. Maybe her alleged pregnancy can breathe new life into a potential second season?